This no knead sandwich bread is not a quick solution to sandwich making but it is a hassle free solution. The dough gets left in the fridge overnight and needs time to come up to room temperature before baking. The time it takes will of course be weather dependant. But you can do the first bit on night one, and the second bit on night two and then start all over again before the loaf runs out so that you always have fresh bread in your bread box. Do you make lunch box lunches? 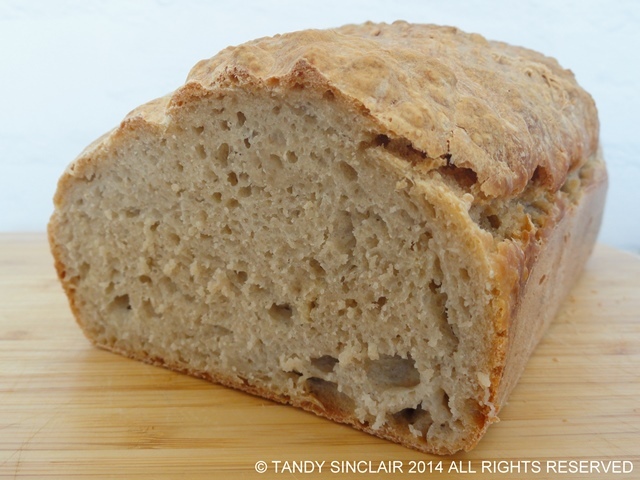 This no knead bread proves in the fridge overnight and is great for sandwich making for lunches. such a simple recipe Tandy! thank you! we don’t have kids but sure are busy and are always looking for simple recipes such as this one! 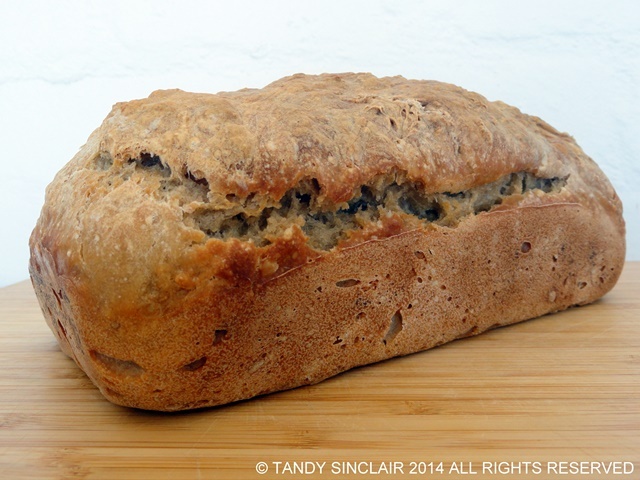 This bread looks amazing, Tandy! Nothing better than easy, no-knead bread! Bookmarking the recipe! So cool! I love homemade breads and am always excited to try out a new recipe. Well, I just love the idea of peanut butter and cheese. And please…….no knead bread anytime of the week! Easy peasy. Just what I need! I pack my husbands lunch everyday and don’t want him to be disappointed (and it saves us a tons of $$$) and who wants to be disappointed at lunch? You still have a half of work day to go! Thanks for the inspiration! 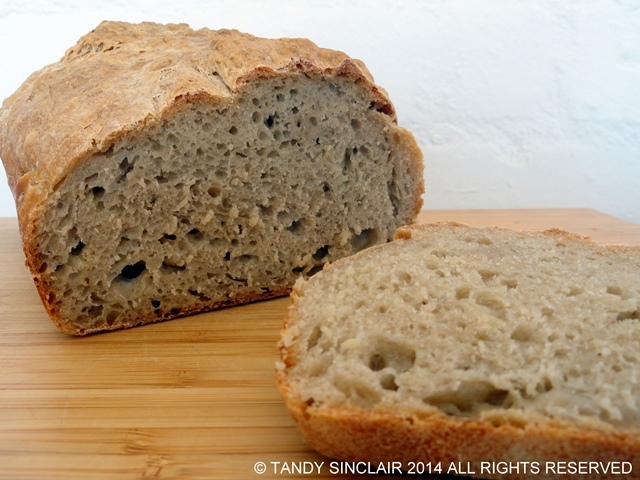 Your bread looks delicious – the texture looks perfect (airy, but still moist). Yum! HI Tandy, love the texture of this bread, looks delicious, pinned and printed. Think I last made a no knead sandwich loaf when we were still living in Mauritius! Have a lovely Monday Tandy. I sometimes make no knead bread – it’s a speedy solution when you don’t have enough time for the full process. Which reminds me, while I am in Spain I need to hunt out some of my loaf tins! That is such a good idea for recycling!